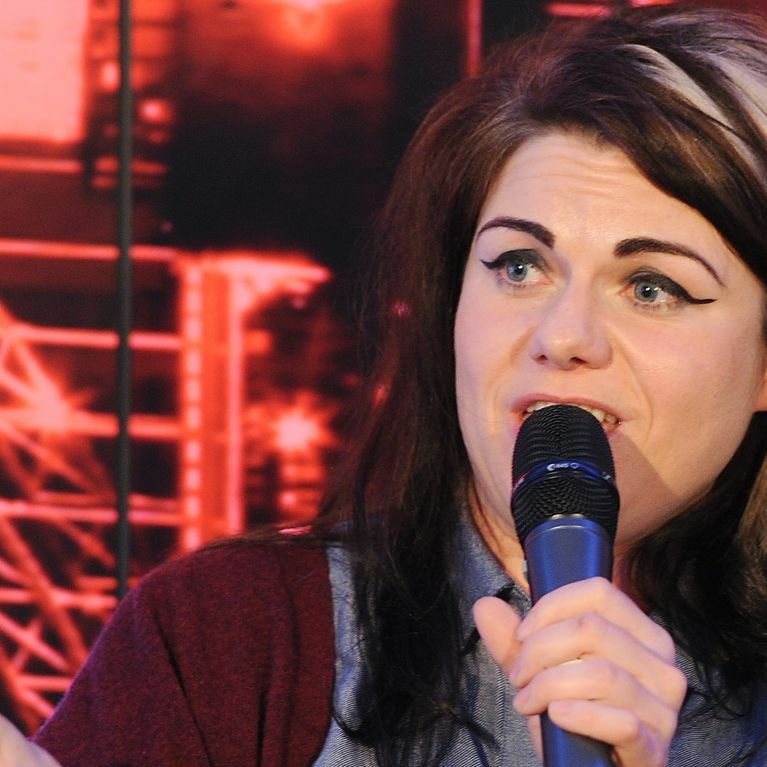 Caitlin Moran is an icon to many people, and no more so than young girls. At Letters Live last weekend, Caitlin read aloud an open letter she wrote addressed to these girls that she meets at her book signings, and watch out - it's a total tear jerker! ​Sometimes your parents are there – standing in the background, nervous, their faces anxiously projecting, “She likes you. Please make her feel better now. Oh Christ, don’t break her.”Other times, your parents aren’t there, but still present – their carelessness or rejection as tangible as if they were standing a foot away, casting mile-long shadows. ​What do I say to you girl - you beautiful girls? You girls who are having the Bad Year – the Bad Year where you cannot remember why you were happy aged 12, and cannot imagine being happy at 21? What can I say in one minute, two minutes, three minutes? ​So many things. That panic and anxiety will lie to you – they are gonzo, malign commentators on the events of your life. Their counsel is wrong. You are as high, wired and badly advised by adrenaline as you would be by cocaine.Panic and anxiety are mad, drugged fools. Do not listen to their grinding-toothed, sweaty bulls***. ​That will never happen. That is not what happens. ​The minutes always come one at a time, inside hours that come one at a time, inside days that come one at a time – all orderly strung, like pearls on a necklace, suspended in a graceful line. You will never, ever have to deal with more than the next 60 seconds.Do the calm, right thing that needs to be done in that minute. The work, or the breathing, or the smile. You can do that, for just one minute. And if you can do a minute, you can do the next. ​Pretend you are your own baby. You would never cut that baby, or starve it, or overfeed it until it cried in pain, or tell it it was worthless. Sometimes, girls have to be mothers to themselves. Your body wants to live – that’s all and everything it was born to do. Let it do that, in the safety you provide it. Protect it. That is your biggest job. To protect your skin, and heart. ​Buy flowers – or if you are poor, steal one from someone’s garden; the world owes you that much at least: blossom – and put them at the end of the bed. When you wake, look at it, and tell yourself you are the kind of person who wakes up and sees flowers. This stops your first thought being, “I fear today. Today is the day maybe I cannot survive any more,” which I know is what you would otherwise think. Thinking about blossom before you think about terror is what girls must always do, in the Bad Years. ​And the most important thing? To know that you were not born like this. You were not born scared and self-loathing and overwhelmed. Things have been done – which means things can be undone. It is hard work. But you are not scared of hard work, compared with everything else you have dealt with. Because what you must do right now, and for the rest of your life, is learn how to build a girl. You.